Precision measurements for big processing jobs. Measures up to 660 lbs. For processing and packaging meat after super-size hunting hauls. Stainless steel for easy cleaning. Extra functions for getting a precise read even with containers and other packaging material. A smart investment to make the most of every minute during your next project. Maximum weight measuring capacity of 660 lbs. 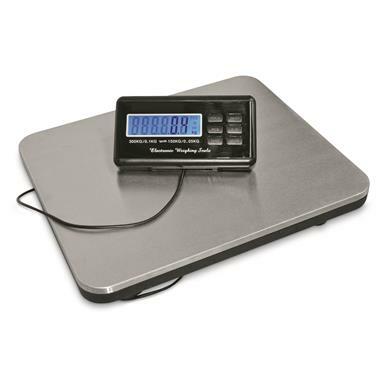 Stainless Steel Digital Scale, 660 lb. capacity is rated 5.0 out of 5 by 1. Rated 5 out of 5 by glenn from packaged well, easy to set up, easy to clean, overall right out of the box more value than I expected. sg does it again.